Washington D.C, Mar 28: A new study has suggested that the risk of a child developing symptoms of attention deficit hyperactivity disorder (ADHD) may be modulated by the mother's diet during pregnancy. The study, published in the Journal of Pediatrics, analysed samples of umbilical cord plasma to quantify the levels of omega-6 and omega-3 that reach the foetus. The statistical analysis showed a higher omega-6: omega-3 ratio to be associated with a higher risk of the ADHD symptoms at seven years of age.Omega-6 and omega-3 are long-chain polyunsaturated fatty acids that play a crucial role in the function and architecture of the central nervous system, particularly during the later stages of gestation. Pregnant Woman Prepares 152 Meals & 228 Snacks Days Before Delivery to Save Time After Baby's Birth. These two fatty acids compete for incorporation into cell membranes and are primarily obtained through diet. Since omega-6 and omega-3 have opposing physiological functions, the former promotes systemic pro-inflammatory states, while the latter promotes anti-inflammatory states, a balanced intake of these two fatty acids is important. Previous research had shown that children with ADHD symptoms have a higher omega-6: omega-3 ratio.The authors studied data from 600 children living in four Spanish regions (Asturias, Basque Country, Catalonia, and Valencia) who are participating in the INMA Project. They analysed umbilical cord plasma samples and data from questionnaires completed by the children's mothers. The ADHD symptoms were assessed using two standard questionnaires: the first completed by the children's teachers at the age of four years, and the second by their parents at the age of seven years. Sleeping for Long Hours During Pregnancy Linked to Stillbirths. The results showed that, at the age of seven years, the number of ADHD symptoms increased by 13 per cent per each unit increase in the omega-6: omega-3 ratio in umbilical cord plasma. The study analysed the number of symptoms in the children who met the diagnostic criteria for the ADHD (minimum six symptoms) and also in the children with a smaller number of ADHD symptoms. The ratio of the two fatty acids was associated with the number of the ADHD symptoms present but not with the diagnosis of the disorder, and only in the assessment carried out at seven years of age. The authors suggest that the assessment carried out at four years of age may have been affected by a measurement error because the ADHD symptoms reported at early ages may be caused by a neurodevelopmental delay falling within the normal range. "Our findings are in line with previous studies that established a relationship between the omega-6: omega-3 ratio in mothers and various early neurodevelopmental outcomes," commented Monica Lopez-Vicente, ISGlobal researcher and lead author of the study. Pregnant Women Shouldn’t Have Painkillers for This Shocking Reason. "Although the association was not clinically significant, our findings are important at the level of the population as a whole," noted Lopez-Vicente. "If a large proportion of the population is exposed to a high omega-6: omega-3 ratio, the distribution for the ADHD symptom scores would likely move to the right and the prevalence of extreme values would increase, leading to a negative impact on the community's health costs and productivity," added Lopez-Vicente. 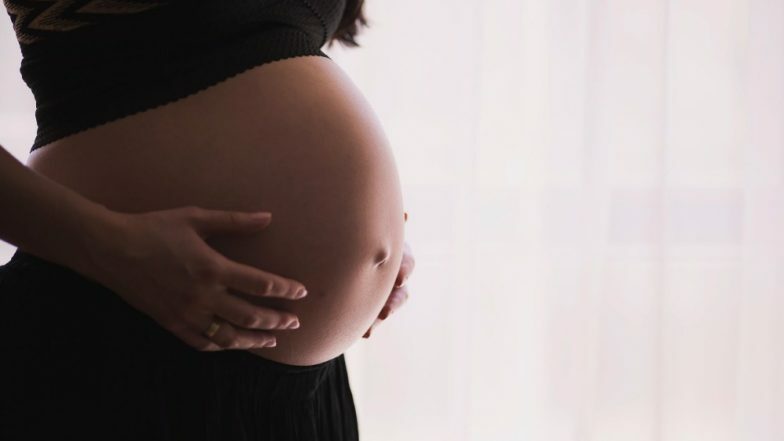 "This study adds more evidence to the growing body of research on the importance of maternal diet during pregnancy," commented Jordi Julvez, a co-author of the study. "The nutrient supply during the earliest stages of life is essential in that it programs the structure and function of the organs, and this programming, in turn, has an impact on health at every stage of life. As the brain takes a long time to develop, it is particularly vulnerable to misprogramming. Alterations of this sort could, therefore, lead to neurodevelopmental disorders."